Color popsicle sticks with green marker or use pre colored popsicle sticks to make it easier. 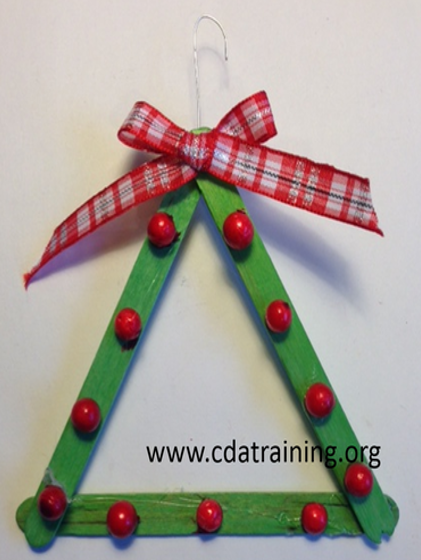 Glue them together in a triangle shape like the shape of a Christmas tree. Glue berries or beads onto the popsicle sticks. Tie a ribbon on top and hang on your tree.